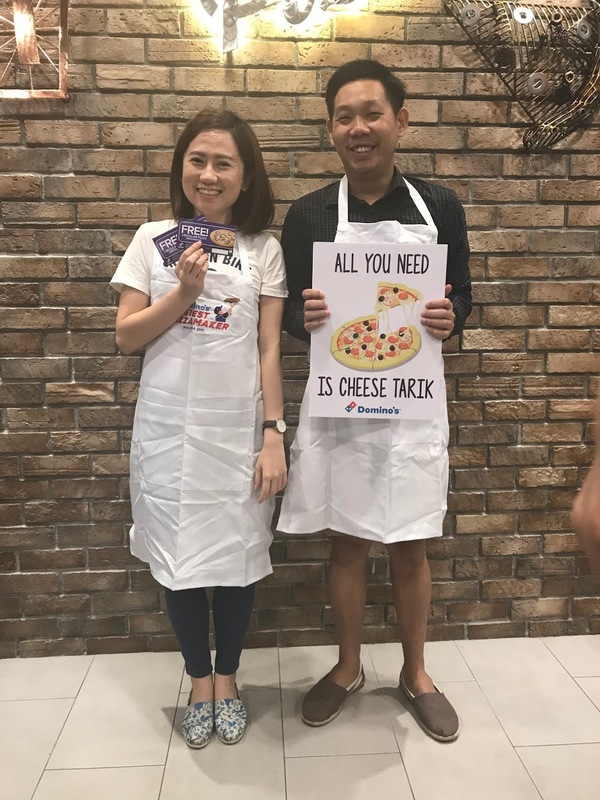 [Event] Tarilklah Puas-puas With The New Domino's Cheese Tarik Crust! 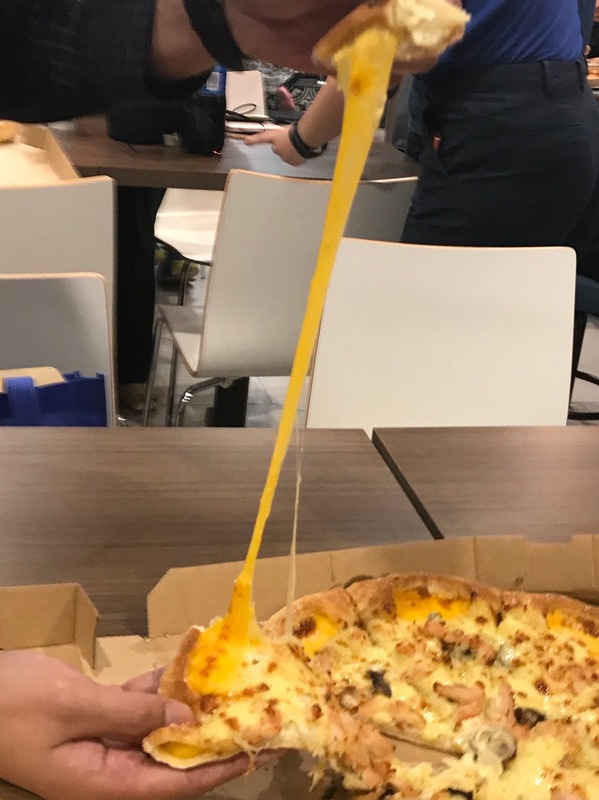 Stringy, stretchy cheese is synonymous when picking up a slice of fresh over-baked, piping hot pizza from the pizza box. 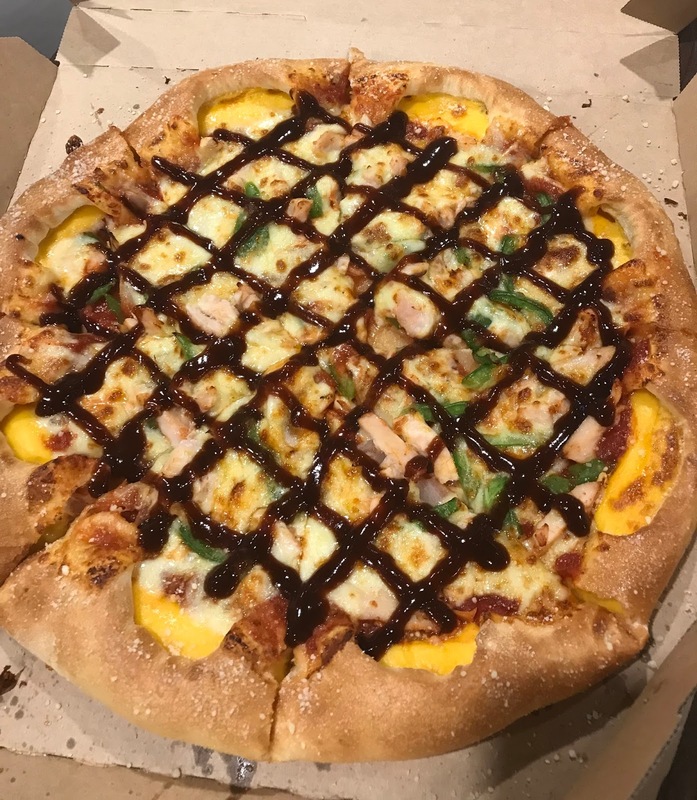 Just when you think it cannot get any better, Domino's has found a way to top it. Inspired by customers love for more cheese, the new Cheese Tarik Crust proves that more cheese is indeed better. 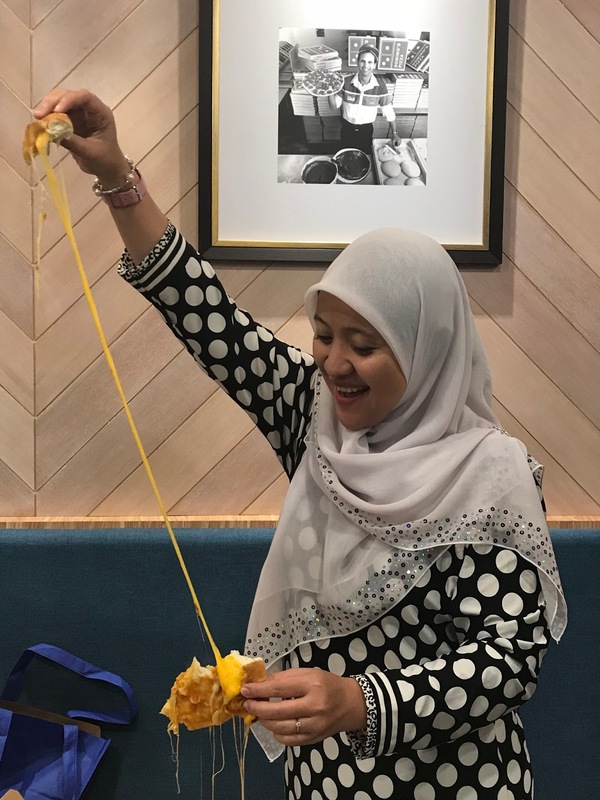 The new product is not only created with great care and selection of high quality mozzarella as Domino's continuously strive to introduce better tasting and consistent cheesy bursts in each bite. Taking a cue from artisan cheese craftsmanship, Domino's pizza makers take on a special technique to handcraft the pizza crust to skillfully create its cheesiest crust yet. In search for the familiar tantalizing cheese flavours, Cheese tarik Crust features the earthy goodness if cheddar cheese tucked in a parmesan-sprinkled crust, baked to a golden, molten perfection. 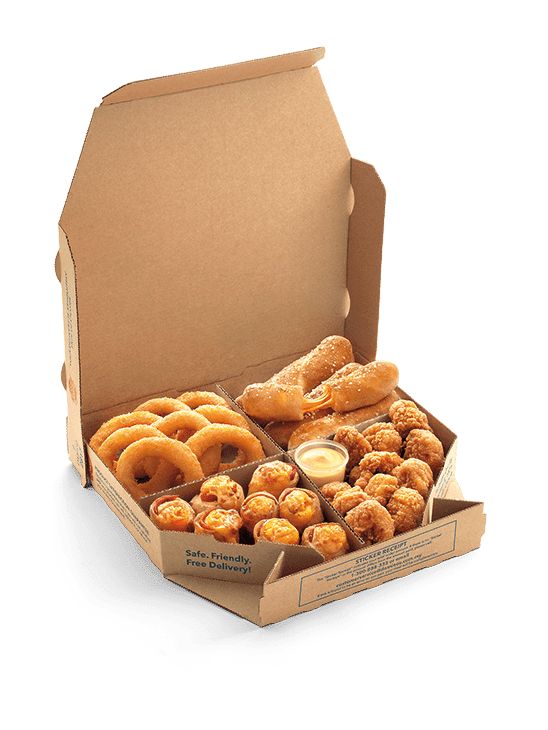 Freshly made for each order with a serving of cheddar cheese, the molten cheese filling oozes out of the crunchy crust giving it a soft, stretchy and stringy texture that will keep you tarik-ing for more. 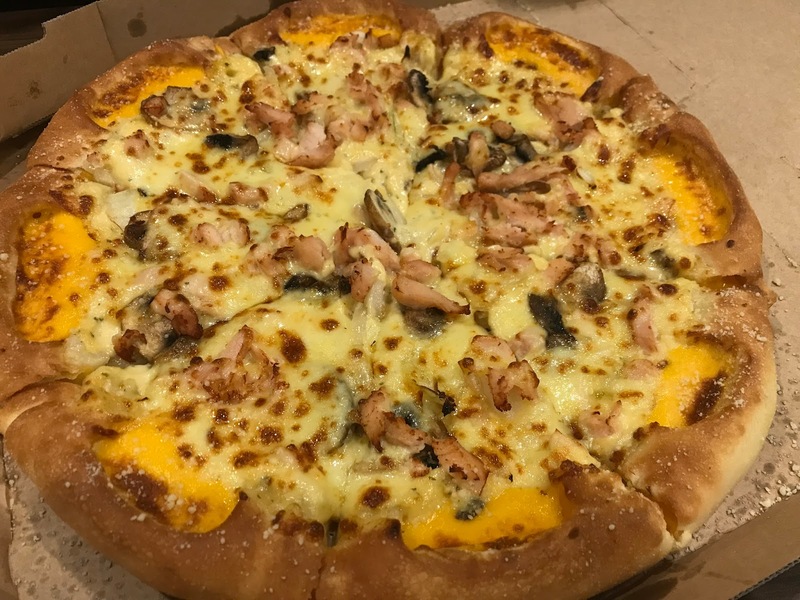 offering even more variety, the Cheese Tarik is also available with the original Mozzarella Cheese tarik, previously known as the Extreme Edge Crust. The cheese Trarik Crust is available in sizes Regular and Large and can be enjoyed with all pizza flavours. It is also the latest crust addition to Domino's Pizza's wide-ranging menu. Try the all-new Cheese Tarik Crust with your favourite pizza toppings only at a surcharge of RM 5 for regular pizza and RM 7 for large pizza. 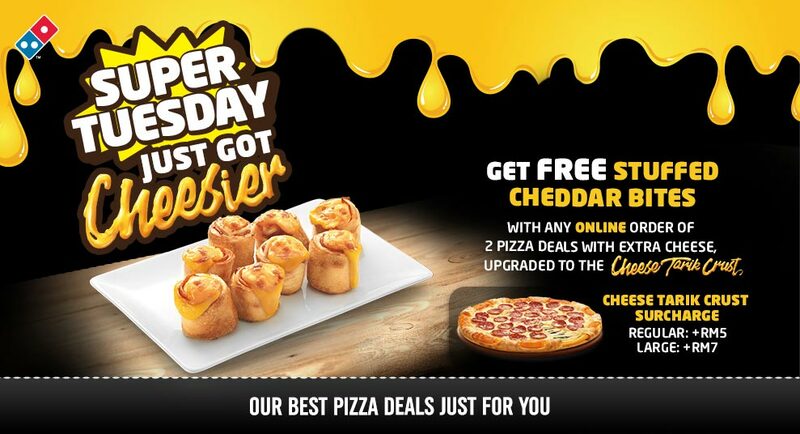 Order the 2 Pizza Deal with extra cheese online and upgrade to Cheese Tarik crust to enjoy Stuff Cheddar Bites on the house every Tuesday as an extension of the Super Tuesday offers! To keep the cheesy goodness in high gear, pair it up with Domino's Pizza's new Cheesy four featuring four enticing side dishes, perfect to accompany your favorite piazza. 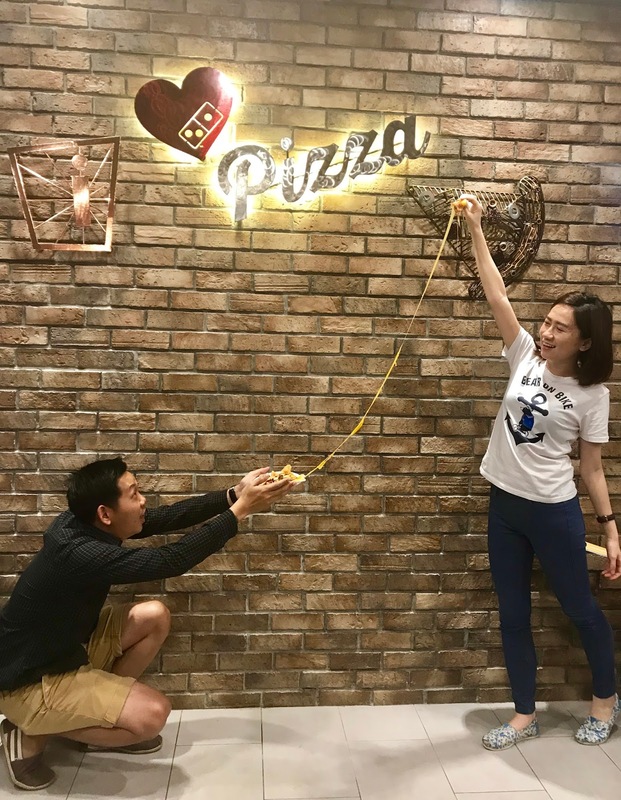 Inspired by pizza being a shared meal, the Cheesy Four offers an ease of ordering and convenience, great to be enjoyed with loved one. 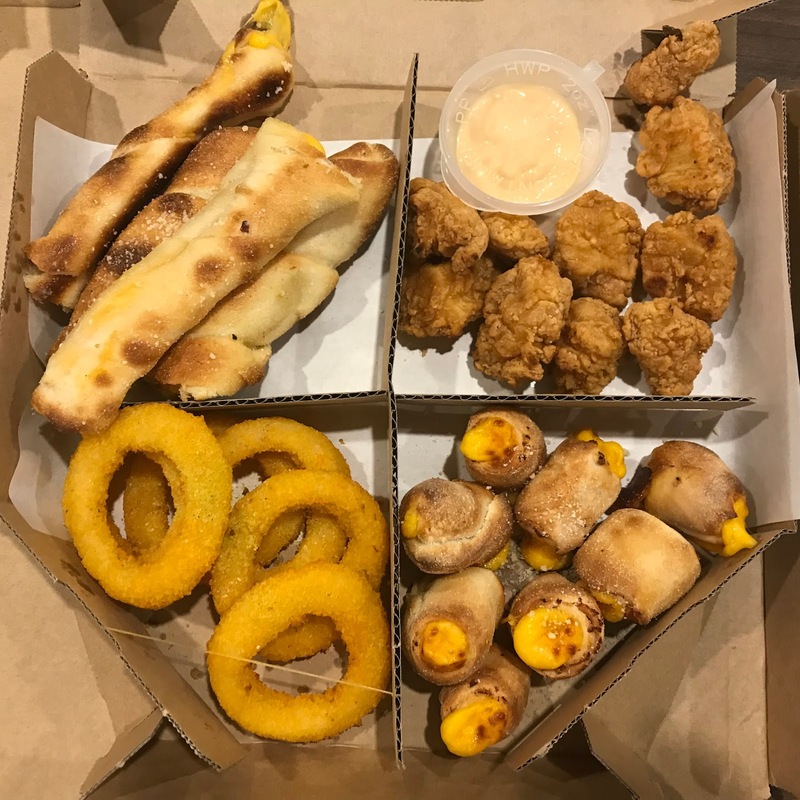 Comprising of the Garlic Cheese Onion Rings, Cheesy Cheddar Stix, Stuffed Cheddar Bites and Crazy Chicken Crunchies (Tom Yam Flavour) with tangy cheese dip, this combination is set to take your cheese experience to a new heights. Enjoy a box of the new Cheesy Four at a promotional price of RM23.90 with a minimum order of a personal pizza. take advantage of an additional RM 2 off on the Cheesy Four when you order online. Good news always must be share out. 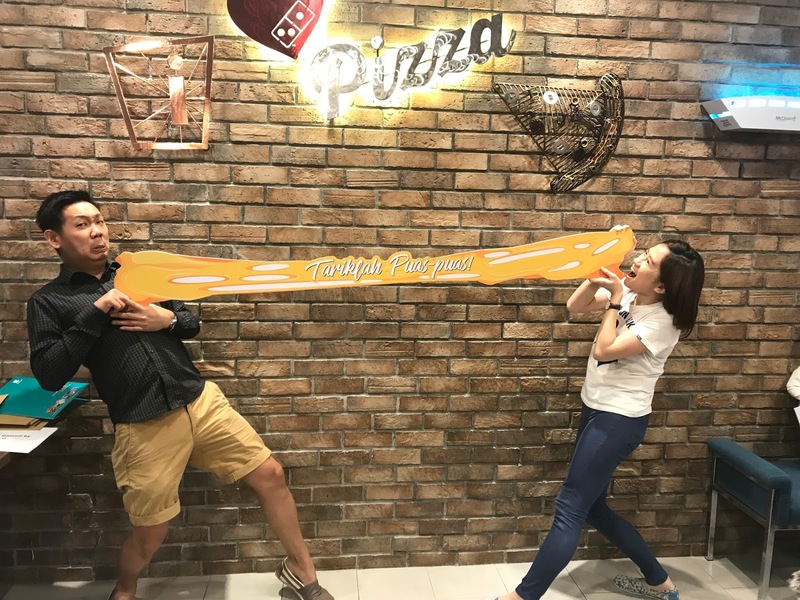 My partner in crime and me won the most creative 'Chesse Tarik' photo. 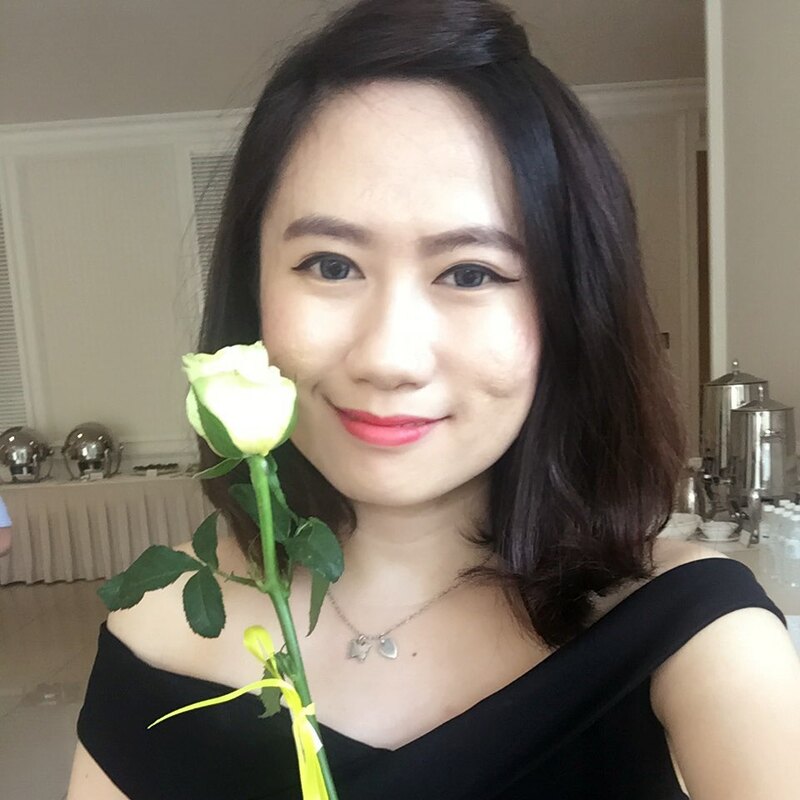 Thank you Domino, we both are happy to 'tarik-tarik' together and enjoy eating your pizza very much too! Hooray, free pizza vouchers and limited edition Domino's apron. Hahaha!! !